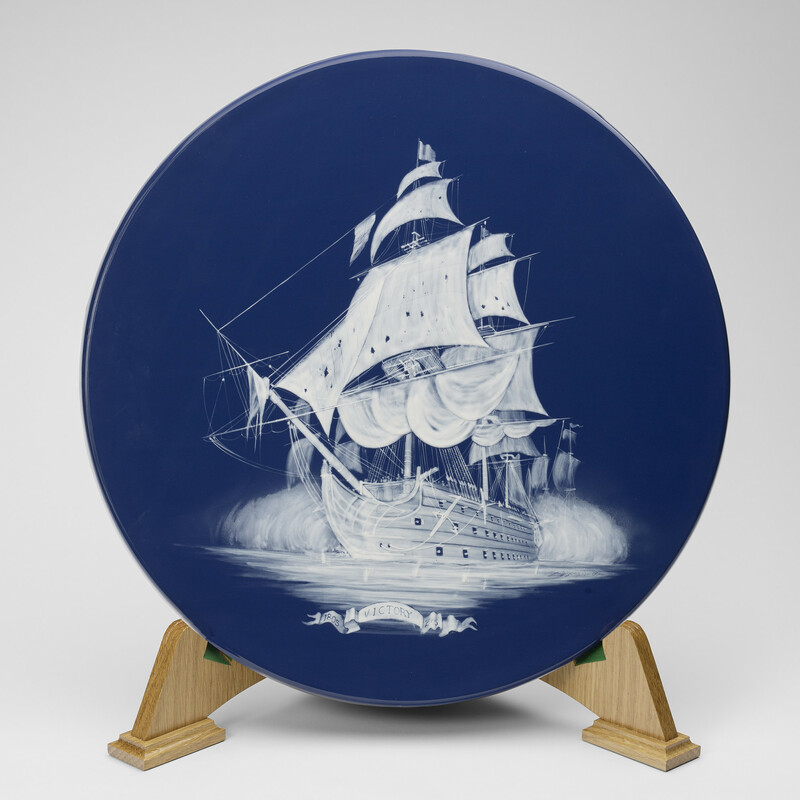 A Wedgwood circular ceramic plaque on blue ground with white slip image of the ship Victory at sea. As part of the commemorations of the 200th anniversary of the Battle of Trafalgar, The Queen attended a banquet on board HMS Victory at Southampton. This plaque was presented at the banquet.